Researchers have created a version of Pong that's controlled with thought. It doesn't get much simpler in the world of videogames than Pong. 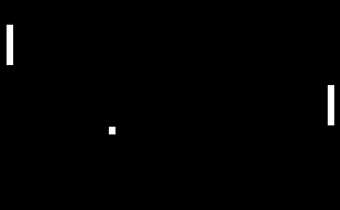 Whereas games today need advanced graphics engines, Pong needed a couple of lines and a dot to get the job done. Likewise, its controls didn't even require buttons, with many versions using a knob and nothing else. Thanks to David Schwarz, a Duke Ph.D student, players don't even need their hands to play the game anymore. Using electrode caps that capture brain activity Schwarz has developed a version of the arcade classic that players can control with their thoughts. While the process requires a bit of practice to master, players attuned to the controls can move their paddles via thoughts and other actions like blinking and nodding. As with the original game, the Jedi mind-trick version of Pong is also monstrously addictive. "The first time I played, I played for like an hour and a half without stopping," said Vivek Subramanian, who helped Schwarz develop the game. While Schwarz's mind-Pong demonstrates clear gaming uses for the neuroscience equipment he worked with, the goal's for the technology are actually a bit more practical. "Our lab is interested to make it possible for paralyzed people to recover independence," said Dr. Laura Oliveria, a senior research at the Nicolelis lab where the technology was originally developed. The lab hopes to develop systems where a disabled person could use a thought controlled exoskeleton to replace damaged body functions. Currently, the lab is working to help a paralyzed person perform the opening kickoff at the 2014 World Cup in Brazil.